Over the course of the year, I have discovered a number of brands of chocolate which I have enjoyed. Many of them you get to read about because they arrive in my monthly box from The Vegan Kind, but some fall by the wayside because I want to incorporate them into a blog but they get lost amongst the other things that are going on. So today I thought I would highlight some of the chocolates I have stumbled across this year which have gone unmentioned. First up is Go Max Go Foods, who produce "extraordinarily delicious candy bars". These chocolate bars remind me of the fully loaded chocolate bars I never really appreciated until I decided to be vegan. They're the Mars bars, Bounties, and Peanut Butter Cups of the vegan world. I was lucky enough to come across these at a stall at the vegan festival in Leeds earlier this year. The brand offer a range of seven chocolate bars - I got my sticky hands on three of them. 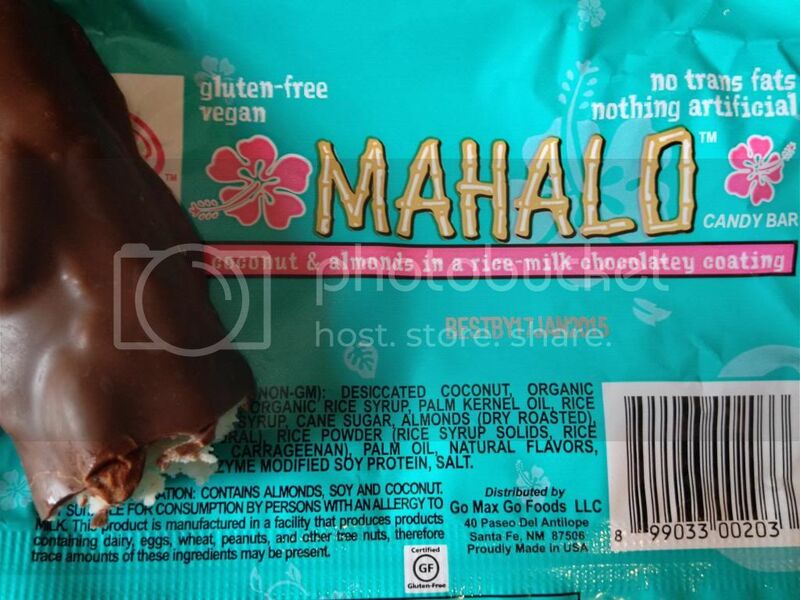 The Mahalo was like a bounty with added almonds (on top of the coconut, under the chocolate). The sweet chocolate-covered coconut tasted just like what I remember Bounty to taste like, and the added almonds work even though they really shouldn't! 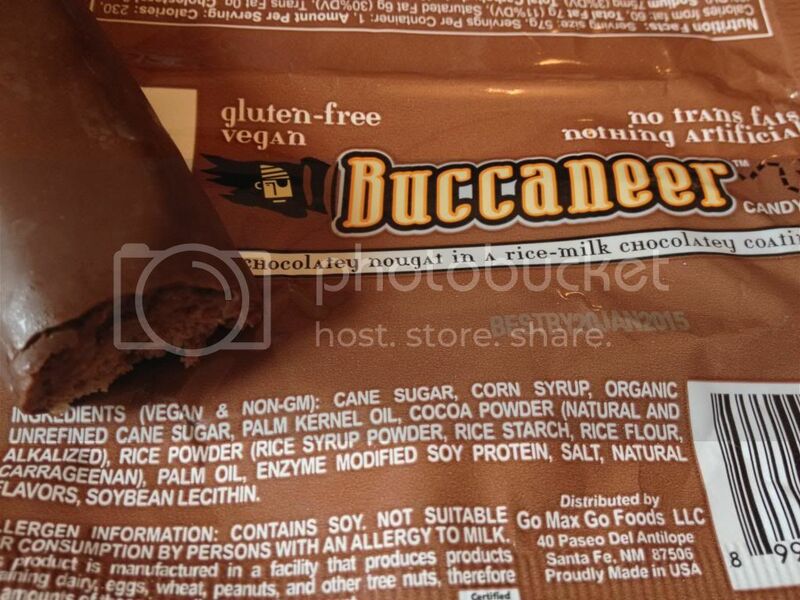 The Buccaneer is full of chocolatey nougat, and I don't really have a non-vegan chocolate bar to compare it to. The closest I could think of was that it was similar to a Milky Way, only chocolatey instead of whatever-flavour-that-was-meant-to-be. (Seriously though, whatever flavour those things were supposed to be they were great. Although maybe that was the sugar talking.) Regardless of what it reminds me of, this chocolate bar was lovely. Fluffy nougat = yums. 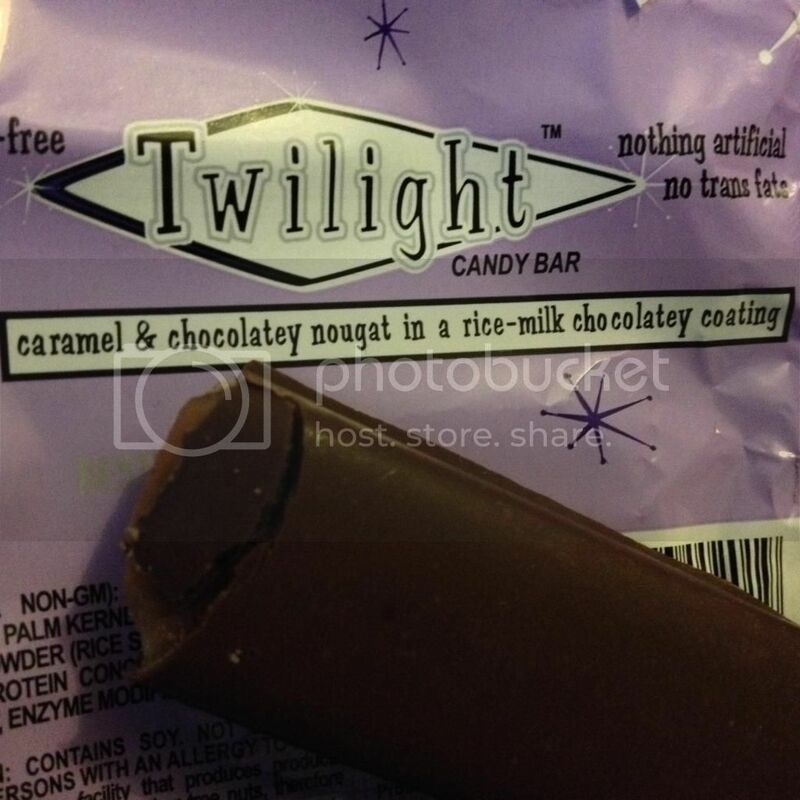 The Twilight bar reminded me very much of a Mars bar - although again, the nougat was chocolatey rather than miscellaneous sweet nougat flavour. Very tasty and reminiscent of the times when you could get a Mars bar for 30p - unfortunately you won't find these scrummy bars anywhere for 30p! The other bars offered are Jokerz (peanuts, caramel and nougat covered in chocolate), Snap! (chocolate bar with crisped rice), Cleo's (peanut butter cups), and Thumbs Up (crunchy peanut-buttery centre covered in chocolate). Considerit make indulgent chocolates that everyone can eat, using a dairy-free alternative to cream to produce rich truffles. This was another bar in my vegan festival chocolate haul and it was definitely worth it. I love salted caramel, and the caramel in this bar was perfect. 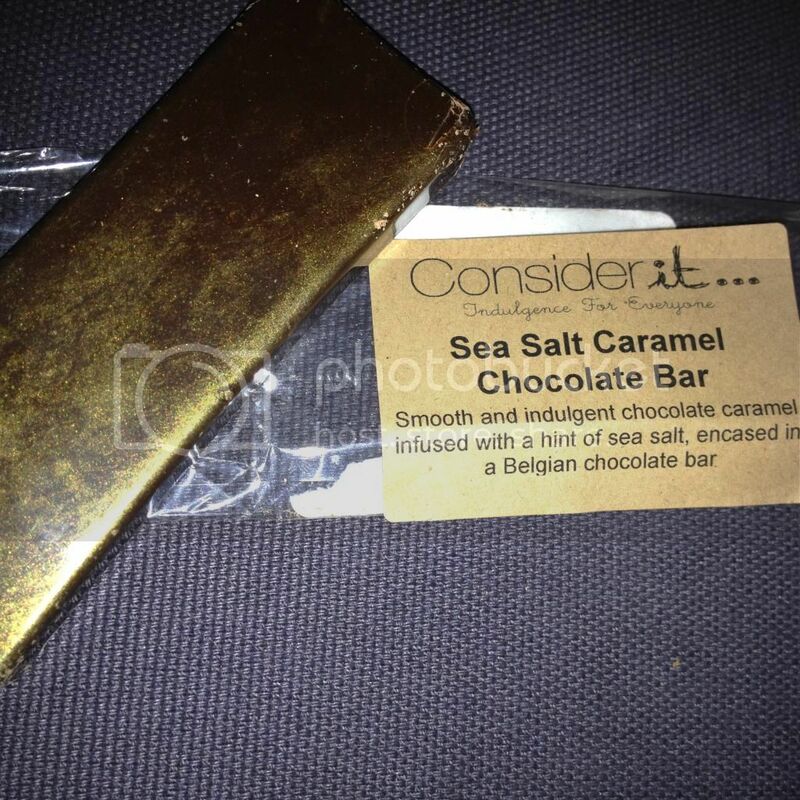 Rich, creamy, the right level of sweet... all encased in a lovely chocolate WHICH WAS GOLD!!! Just look at that photo below! (At least, look at it if you can ignore how awful it is. I just really wanted to eat that chocolate...) These lovely people offer a subscription box which I am very tempted by. I'm just trying to convince myself that it's okay to buy myself some fancy chocolate every month... I'll get there eventually. 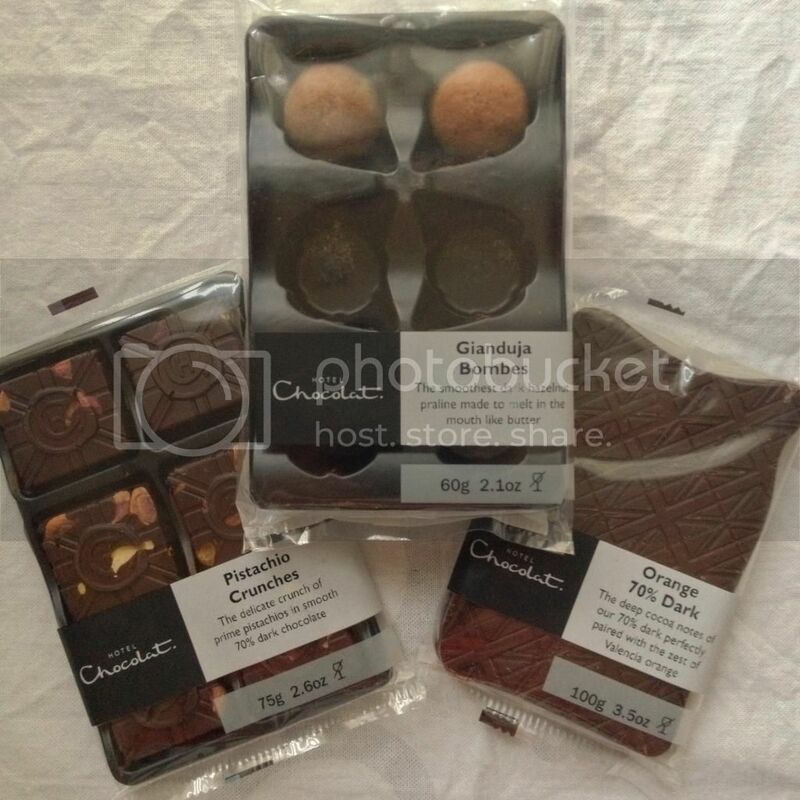 I had been hearing good things about Hotel Chocolat's vegan range for a while but always dismissed it as being too expensive. I casually mentioned this to a friend one day as we passed one of their shops, and she promptly marched me in and bought me some chocolates to try. The sales assistant was very knowledgeable about which items were vegan - and if you search "vegan" on the website it will show you a mouth-watering range of suitable items. All the chocolate I tried (see the below photo...) was fabulous. The praline crunchies were ever so tasty, the orange chocolate had just the right amount of orange to take the bitterness off the dark chocolate, and the gianduja bombes were absolutely amazing. Finding good vegan praline is a wonderful thing. I remember getting Guylian chocolate pralines at special times like Christmas when I was younger - and now I've found a replacement! Something else I will recommend from Hotel Chocolat is the Hazelnut Buche Dark & Nutty Chocolate Log, which is pretty much just a giant piece of praline. I bought one for my mum's last birthday and it was devoured rather quickly. Yum yum yum.